All literary writing is a form of translation, of course, and writers and readers alike become bogged down in technicalities when they think of writing as a kind of literal translation of experience. The short story writer, the essayist, and the poet are literal in the way that American short story writer Flannery O’Connor said that a child’s drawing is literal. The child does not aim to distort, but as he or she sees the lines that create motion, these are recorded. In the same fashion, the literary writer records lines of motion (spiritual, cultural, psychological) in their translations of experience. As a writer of fiction, poetry, and nonfiction, and as the son of writers and translators of the work of Nobel Laureate, Isaac Bashevis Singer, I view the genres likewise with fluid boundaries and open to constant reinterpretation and reinvention. What interests me as a writer are other authors who cross genre boundaries and engage in translations as it were from one genre to another: the essay informed by the poetic, the short story informed by the essay, and writers who translate the same experience in multiple forms. Robin Hemley is the author of eight books of nonfiction and fiction and the winner of many awards, including a 2008 Guggenheim Fellowship, The Nelson Algren Award for Fiction from The Chicago Tribune, The Story Magazine Humor Prize, an Independent Press Book Award, two Pushcart Prizes and many others. His fiction, nonfiction, and poetry has been published in the U.S., Great Britain, Germany, Japan, the Philippines, Hong Kong, and elsewhere and he frequently teaches creative writing workshops around the world. He has been widely anthologized and has published his work in such places as The New York Times, Orion, The Wall Street Journal, The Chicago Tribune, New York Magazine, and many of the finest literary magazines in the U.S. The BBC is currently developing a feature film based on his book Invented Eden that tells the story of a purported anthropological hoax in the Philippines. His popular craft book Turning Life into Fiction has sold over 60,000 copies in its lifetime. His third collection of short stories, Reply All, is forthcoming in 2012 from Indiana University Press (Break Away Books) and The University of Georgia Press will publish his book A Field Guide for Immersion Writing: Memoir, Journalism, and Travel, also in 2012. He is a Senior Editor of The Iowa Review as well as the editor of a popular online journal, Defunct (Defunctmag.com) that features short essays on everything that’s had its day. 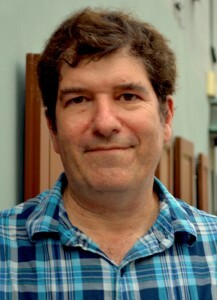 He currently directs the Nonfiction Writing Program at The University of Iowa and is the founder and organizer of NonfictioNow, a biennial conference that will convene in November 2012 in Melbourne, Australia.